Hello hotties! Our hot product pick of the week this time around is shaving soap. 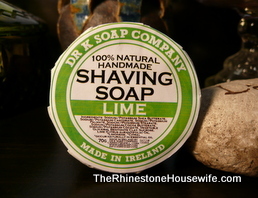 Oh, what’s that you say…you’ve never tried shaving soap? Well, let me explain what you’ve been missing! Shaving soaps are generally made with all sorts of good things like goat’s milk (our vegan versions omit this ingredient), Kaolin clay and honey. Kaolin clay is great for purifying the skin and adding a great ‘slip’ to the bar, thus making the razor glide smoothly over the skin for a smoother and more comfortable shave. Additionally, shaving soaps will come in all sorts of colors and fragrances like Pink Cupcake, Sweet Blueberry, Lavender Honey, and everything from Banana Pancakes to Strawberry Taffy, Winter Grapefruit, Pear and Mandarin Plum. 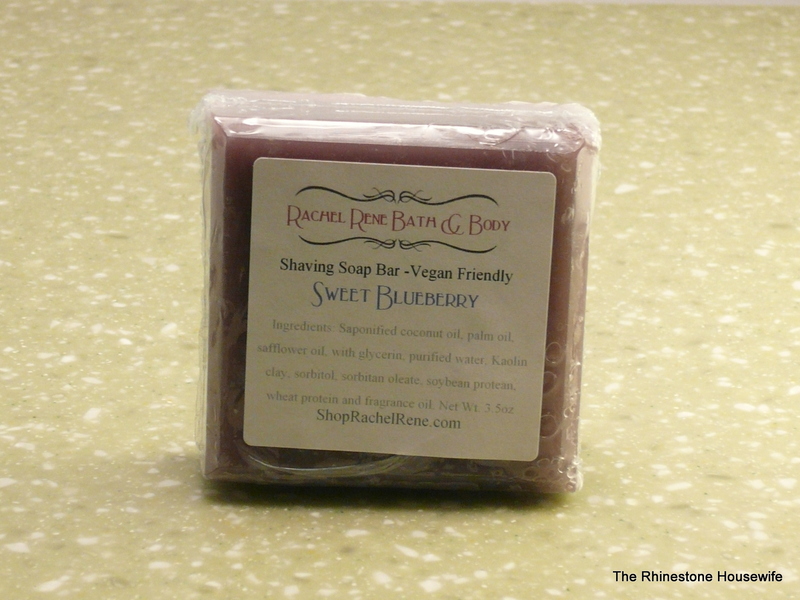 To use these soaps you simply work up a good lather and go at it with a razor! I find that you can make these last a lot longer if you slice off small chunks at a time to use as the more it sits in the watery shower, the faster it will melt away. Once you’ve switched to shaving soap, I can guarantee that you will never go back to regular soap or shaving cream again! 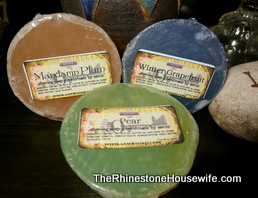 All sorts of great shaving soaps can be found at The Rhinestone Housewife!